Getting a Christmas gift for a beer enthusiast seems pretty easy: Just buy them a bottle of their favorite brew and put a bow on it. But in the midst of this veritable craft renaissance with quality beers galore, you might want to branch out a little and find them something truly spectacular that they’ll want to make their new go-to brew. Finding that quality bottle or other beer-related item can be harder to do if you don’t know what to look for. 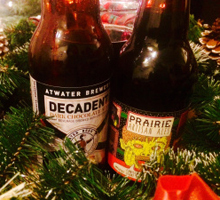 Here’s a gift guide to make the beer lover in your life very merry indeed. This past Friday, Carlos was successful in wrangling me from the confines of my after-work routine, and convinced me to join him in a trek out to Infamous Brewing for the latest showing of The Beer Dairies featuring Infamous Brewing. After a lazy drive up 620, Carlos and I eventually arrived in a foreign land named Hudson Bend, which is home to Infamous Brewing and a group of people who like to go by the name of Benders. If you don’t know about Benders, they tend to exemplify the “I do what I want” spirit of Texas, which I suppose is even more reason to found a brewery named Infamous here. 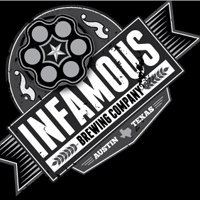 INFAMOUS - "THE BEER DIARIES"
The latest installment of The Beer Diaries features a visit to the Infamous Brewing Company of Austin, Texas. 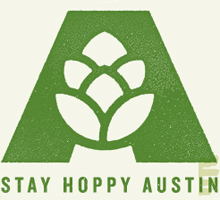 Greg sits down with the founders to learn about breaking into the competitive Austin market. As always it features some delicious beers, and jolly conversation. 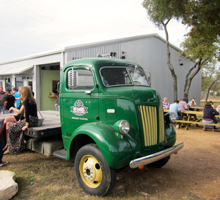 Infamous Brewing is located in a warehouse west of Austin near Lake Travis. I recommend making a day of the trip by leaving early to enjoy the scenery of that area. Infamous recently expanded into the adjoining space and has built out a taproom to allow all of us to come out and enjoy their outstanding brews. The tap room has six taps including two with developmental / special brews. There is a sign to the right listing what is available and the volunteers will gladly answer any questions. Looking for a “brews-cruise” that’s really close by? “Hops” on over to the brand-new tasting room at Infamous Brewing off Hudson Bend Road. Since just starting to brew last year, these guys have become, well, infamous for their IPA, their Hijack cream ale and Bugsy’s Brush Fire amber. They’ve gradually expanded the brewery and just opened a tasting room on one end. There are big things brewing on Hudson Bend. Our friends at Infamous Brewing Company have been working since the first of the year to open their first tap room, complete with a 6-tap bar, seasonal brews and hang out zone. 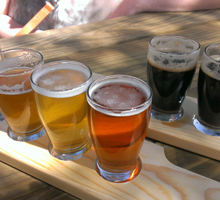 Surprised to see a cream ale make the list? Don't be. It took guts to release a cream ale (a once popular beer in the 70's) as a mainstay beer, and it was done well. Hijack surprised us with its more aggressive hop presence while still staying crisp and clean. It is an approachable craft beer for newcomers or a go-to pint for craft beer veterans. 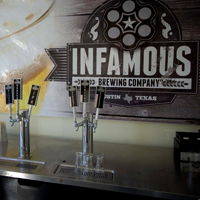 Infamous Brewing Company, located in Hudson Bend, opened in March 2013 and expanded its facility on the first day of 2014 by an additional 1,200 square feet, co-founder Zachary Perry said. The expansion grew the brewing facility to approximately 3,500 square feet and allowed for the addition of a tasting room, which will be open to the public in mid-January and offer some exclusive tastings.